After watching a staggering 236 episodes, representing nearly a decade of television, some Friends viewers may feel they know the show’s six main characters better than they know anyone in their own, real lives. Similarly, the show’s most frequently used locations, usually consisting of two neighboring New York apartments and a nearby coffee shop, may seem as vivid in fans’ memories as the actual, existent homes in which they grew up. 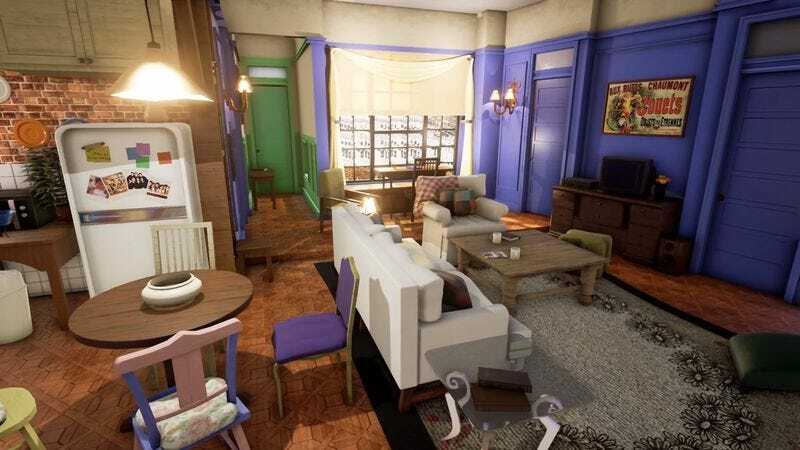 YouTuber 5teven94 has carried this idea to extremes with an uncannily detailed and accurate 3D simulation of Monica and Rachel’s apartment, created with Unreal Engine. He describes this as a university project and says that it was completed over the course of three months. In any event, it’s a remarkable example of one fan’s dedication to a departed NBC sitcom.